Kawasaki Heavy Industries Ltd. (KHI) (川崎重工業株式会社, Kawasaki Jūkōgyō Kabushiki-gaisha) /kaʊ.əˈsɑːki/ is a Japanese public multinational corporation primarily known as a manufacturer of motorcycles, heavy equipment, aerospace and defense equipment, rolling stock and ships. It is also active in the production of industrial robots, gas turbines, boilers and other industrial products. 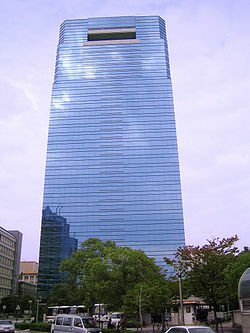 The company is named after its founder Shōzō Kawasaki, and has dual headquarters in Chūō-ku, Kobe and Minato, Tokyo. KHI is known as one of the three major heavy industrial manufacturers of Japan, alongside Mitsubishi Heavy Industries and IHI. Prior to World War II, KHI was part of the Kobe Kawasaki zaibatsu, which included Kawasaki Steel and Kawasaki Kisen. After the war, KHI became part of the DKB Group (keiretsu). Kawasaki is active in a diverse range of the aerospace industry. 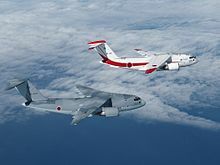 The Company is a contractor for the Japanese Ministry of Defense and has built aircraft such as the C-1 transport aircraft, T-4 intermediate jet trainer, and the P-3C antisubmarine warfare patrol airplane. Since 2007, it has built the P-1 maritime patrol aircraft, and since 2010, it has built the C-2 transport aircraft. Kawasaki also builds helicopters, including the BK117, jointly developed and manufactured with MBB. It also produces the CH-47J / JA helicopter. In the commercial aviation business, the company is involved in the joint international development and production of large passenger aircraft. It is involved in joint development and production of the Boeing 767, Boeing 777 and Boeing 787 with The Boeing Company, and the 170, 175, 190 and 195 jets with Empresa Brasileira de Aeronáutica. It is also involved in the joint international development and production of turbofan engines for passenger aircraft such as the V2500, the RB211/Trent, the PW4000 and the CF34. Kawasaki also works for the Japan Aerospace Exploration Agency. The Company was responsible for the development and production of the payload fairings, payload attach fittings (PAF) and the construction of the launch complex for the H-II rocket. It continues to provide services for the H-IIA rocket. Kawasaki has also participated in projects such as the development of reusable launch vehicles for spacecraft that will handle future space transport, space robotics projects such as the Japanese Experiment Module for the International Space Station, the HOPE-X experimental orbiting plane and the docking mechanism for the ETS-VII. A train of Kawasaki MARC III bi-levels at BWI Rail Station on the Penn Line headed towards Baltimore. A set of Kawasaki's M8 railcars on the New Haven Line. Kawasaki is Japan’s largest manufacturer of rolling stock. It began operations in the industry in 1906. It manufactures express and commuter trains, subway cars, freight trains, locomotives, monorails and new transit systems. Kawasaki is also involved in the development and design of high-speed trains such as Japan’s Shinkansen. Shipbuilding is the historical industry in which Kawasaki Heavy Industries was created and developed, as from the company's 1878 founding as the Kawasaki Dockyard Co.
Kawasaki Shipbuilding Corporation is a wholly owned subsidiary of Kawasaki Heavy Industries. Its product range include high-performance LNG and LPG carriers, container ships, bulk carriers and VLCCs, as well as submarines. The Company is also involved in the development of offshore structures and research vessels. Kawasaki also produces marine machinery and equipment, including main engines, propulsion systems, steering gears, deck and fishing machinery. Kawasaki has shipyards at Kobe and Sakaide, Kagawa. (Kagawa Prefecture). The company also builds ships as a part of joint ventures with COSCO in China, i.e. the Nantong COSCO KHI Ship Engineering Co., Ltd.(NACKS), in Nantong, China, and the Dalian COSCO KHI Ship Engineering Co., Ltd.(DACKS), in Dalian, China. Kawasaki's key offering are high-performance gas turbines. The company is also involved in development of new energy sources as an alternative to fossil fuels such as wind power generation, biomass power generation, photovoltaic systems and rechargeable batteries. Kawasaki develops and builds a vast array of industrial plants and equipment, including large cement, chemical and nonferrous metal plants, prime movers, and compact precision machinery. It also offers industrial plant engineering from design to sales. Kawasaki also develops automation systems. Industrial robots for processes such as assembly, handling, welding, painting and sealing, as well as automation systems for distribution and logistics such as automated product- and cargo-handling systems for plants and airports. Kawasaki is involved in the development of equipment that prevents pollution in a wide range of industries. Among the leading products are fuel gas desulfurization and denitrification systems, and ash handling systems. The Company also supplies municipal refuse incineration plants, gasification and melting systems, sewage treatment and sludge incineration plants. Kawasaki has also been developing systems that enable a wide range of municipal and industrial waste to be recovered, recycled and put to new use. Such systems include refuse paper and plastic fuel production facilities that convert wastepaper/plastics into an easy-to-handle solid fuel, equipment that converts old tires into highway paving materials and tiles, and machinery that sorts glass bottles by size and color. Kawasaki’s portfolio also includes retractable roofs, floors and other giant structures, the Sapporo Dome's retractable surface is one example. For construction, Kawasaki produces products such as wheel loaders, tunnel machines, rollers, snowplows and purpose specific loaders. The tunnel boring machines used to excavate the Channel Tunnel and the 14.14 m diameter shield machines used in the Tokyo Bay Aqua-Line construction are two well-known examples. Kawasaki produces motorcycles, jet skis, ATVs and cars. 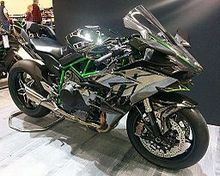 Kawasaki’s motorcycle include the Ninja sport bikes, and cruisers, dual-purpose and motocross motorcycles, as well as utility vehicles, ATVs and general-purpose gasoline engines. Kawasaki's "Jet Ski" has become a genericized trademark for any type of personal watercraft. Akashi Ship Model Basin Co., Ltd.
Kawaju Akashi Service Co., Ltd.
Kawasaki Oita Manufacturing Co., Ltd.
Kawasaki Setsubi Kogyo Co., Ltd.
Kawasaki Naval Engine Service, Ltd.
Kawaju Akashi Engineering Co., Ltd.
KEE Environmental Construction, Co. Ltd.
Kawaju Gifu Service Co., Ltd.
Kawaju Gifu Engineering Co., Ltd.
Kawasaki Prime Mover Engineering Co., Ltd.
Kawasaki Rolling Stock Technology Co., Ltd.
KGM (Kawaju Gifu Manufacturing) Co., Ltd.
Kawasaki Construction Machinery, Hokkaido Ltd.
Kawaju Sakaide Service Co., Ltd.
Kawaju Kobe Support Co., Ltd.
Kawaju Marine Engineering Co., Ltd.
Kawasaki Shipbuilding Inspection Co., Ltd.
Kawasaki Gas Turbine Research Center Ltd.
Sapporo Kawasaki Rolling Stock Engineering Co., Ltd.
Union Precision Die Co., Ltd.
Kawasaki Heavy Industries (U.S.A.), Inc.
Kawasaki Motors Manufacturing Corp., U.S.A.
Kawasaki do Brasil Indústria e Comércio Ltda. Kawasaki Machinery do Brasil Maq. Equip. Ltda. Estaleiro Enseada do Paraguaçu S.A.
Kawasaki Precision Machinery (China) Ltd.
Kawasaki Heavy Industries Europe Finance B.V.
Kawasaki Heavy Industries (Europe) B.V.
^ a b c d e "Financial Result FY2011" (PDF). Kawasaki Heavy Industries, Ltd. And consolidated subsidiaries. ^ Parsons, Dan. "Boeing set to deliver 100th Japanese CH-47 fuselage", FlightGlobal, 2 December 2014. Accessed 12 January 2016. ^ Kelly, Tim. "Giant Japanese oven gives Boeing room to ramp up 787 output", Reuters, 13 March 2013. Accessed 19 January 2016.